Hand made pine untreated meditation stool. 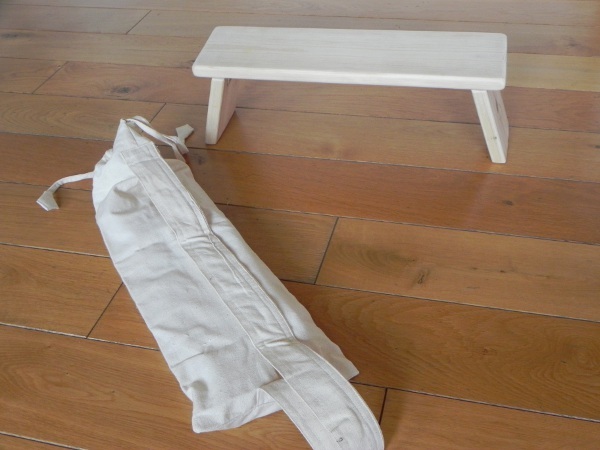 This hand made Meditation stool is crafted from natural, untreated pine wood. The natural cotton canvas bag with shoulder strap has been made by a Nepalese craftsman living and working in Rishikesh.